Sapida is a senior at Montclair State University. She is finishing her Bachelor’s degree in Political Science and Law and Jurisprudence and minor in Public Administration. 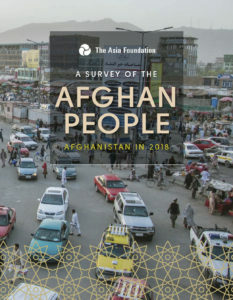 Sahar Education and Afghan American Friendship Foundation (AAFF) have provided me with an open work environment where, surrounded a supportive team, I have grown intellectually. My skills have improved and the experience has been very rewarding. I have worked on many projects such as Early Marriage Prevention Program (EMPP), Teacher Training Center, and Computer Classes. This is my second summer interning with Sahar. My first experience with Sahar was in the summer of 2016. During my visits to schools around Mazar-i-Sharif, I found myself in a totally new world. The majority of schools did not have basic necessities, including classrooms, desks, and water. Some schools used tents as classrooms but others did not even have them. Essentially, it was just a chalk board and a teacher. The experience left me shocked. I knew there was a lot to improve and I wanted to be a part it. This summer it has been a pleasure to join the team again. For the past two months, I have been working on monitoring and evaluation. I have compiled data for EMPP from 2017 to present. Additionally, I translate documents, interview students, and collect their stories. It is rewarding to see the impact of our programs on each participant. When we have guest speakers from diverse career backgrounds, I can tell the girls are inspired. They are encouraged to stand up for themselves and to think outside of the box with their dreams and goals. Many of them say that prior to this program they did not know women could do so many things. EMPP allows girls to keep dreaming big and not let their family members stop them from creating a better future for themselves. It pushes girls to think about their lives beyond marriage and motherhood, empowering the next generation of Afghan girls to be independent. A few days ago, I met a family of seven members. The couple has three daughters and two sons. The oldest daughter got married during her senior year in high school. She was married to a man in Europe that she had never seen or known before; she had only talked to him on the phone. They have been married for two years. The husband stopped her schooling and restricted her from going out. The girl’s parents seem happy about this relationship. And yet, their daughter weeps every day. The parents cannot say a word to their son-in-law because he sends them a few hundred dollars monthly. To me, this is long-distance slavery. Just like their daughter, the girl’s parents were married when they were in school, and they never have been happy together. The wife dislikes her husband even today, after twenty years of marriage. This is a vicious cycle that has been going on for generations. Our EMPP is tailored to prevent it through the sharing information and critical constructive dialogue to break down social norms and open the door for what is possible for girls. The sessions with parents are a key component of EMPP. These sessions enable the parents to learn about the harms of early and forced marriages, and encourage them to share this new knowledge with their communities. Through the EMPP, Sahar is teaching girls that they have equal rights as the men in the society. In computer classes, Sahar is teaching skills for economic independence. Many of the girls come from poor families and they cannot go to private tutoring for computer classes. Girls are normally restricted from going to tutoring because they are coed, however, Sahar’s computer classes are held in girls’ only schools. 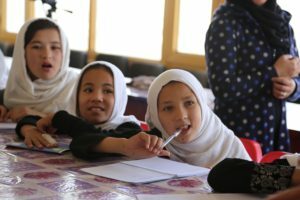 During my computer classes visits, I’ve talked to girls who could not go to school for various family, financial, or security issues but are able to study in our computer classes. I hope to see this program expand. 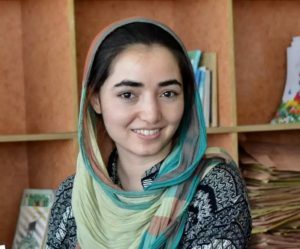 Sahar is inspiring a generation of girls and young women to stand up for their education and to challenge norms by taking unapologetic action.